We've made it simple and convenient for you, just check out the Procedure Packs! Skin Care, Supplements, Garments, and more! We are confident you will find lots of "stuff" to help you make the most of your results! Check back with us often to see exciting new products! Procedure Packs containing items specifically related to your surgery, all in one convenient package! THE MUST HAVE KIT for all Cosmetic and Plastic Surgery patients! Individual products based on your surgery, See Procedure Packs to get the best deal. 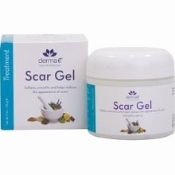 Sports Bra and Scar Treatment in one package! Best Selling Kit for Breast Surgery!